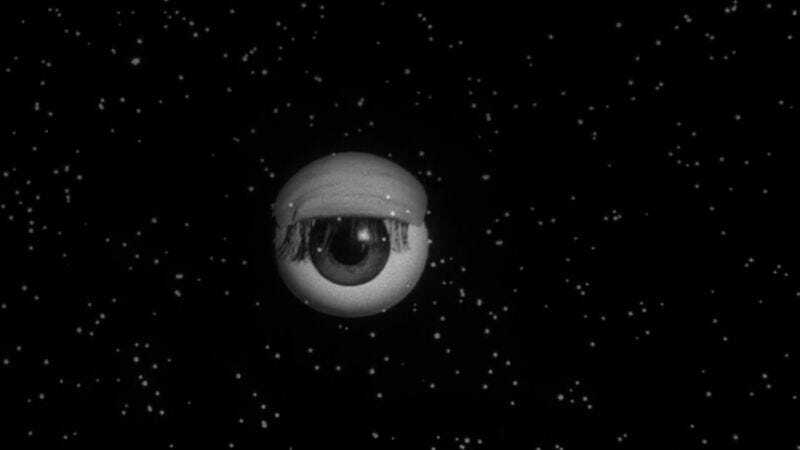 In the spring of 1962, The Twilight Zone was effectively canceled at the end of its third season. CBS had decided not to pick the series up after it was late to attract a new sponsor to underwrite the program, despite the fact that it attracted considerable critical and awards attention and had started to seep through into the mainstream as shorthand for saying that someone had wandered into a situation where things didn’t feel quite right. The show had gotten to 100 episodes, thus guaranteeing some degree of syndication from its production company, so there was little reason to fight for another season, and most of the people involved just seemed really tired. Rod Serling, in particular, was ready to head off to a teaching position to take a little time off from the television grind, and producer Buck Houghton, one of the unsung heroes of the first three seasons, departed entirely in the wake of the apparent cancellation. The show was replaced by an hour-long sitcom named Fair Exchange, about two families who trade daughters for a year (seriously). Then a weird thing happened. Fair Exchange flopped, and suddenly, CBS was looking at an hour-long hole on its schedule it would need to fill at midseason. The easiest thing to fill that hole would be an anthology drama—which could be thrown together relatively quickly, especially compared to a drama with continuing characters—and the network just so happened to have a famous anthology drama on retainer. In November of 1962, CBS picked The Twilight Zone (now named simply Twilight Zone) for a truncated fourth season, a fourth season that would consist entirely of one-hour episodes. Houghton was replaced by Herbert Hirschman (who, himself, was replaced by Bert Granet late in the season). Serling remained involved as the primary script writer and the program’s narrator, but his absence from Los Angeles necessarily meant his hand in quality control would be less easily felt. What’s more, in spreading himself so thin, Serling himself ended up writing scripts of more variable quality. The fourth and fifth seasons of Twilight Zone are not the first three, but there’s enough good in them to make them worth a look. The primary knock against the fourth season is an accurate one: By stretching the show’s formula to an hour, too many of the episodes ran completely out of gas around the 25-minute mark and simply had to keep staggering along. There are some gems in this season, but even the best episodes have the curious feeling of being stretched just a little too thin. The worst episodes will often repeat plot points over and over, simply to fill time, and the show’s format—intriguing concept or mystery introduced in the first act, heightened in the second act, and subverted in the third act—runs out of space when that second act has to be continuously elongated. Hour-long drama has a very different structure from half-hour storytelling, and it’s evident at all times in the fourth season that Twilight Zone is struggling to overcome its own confusion over how to fit its format into the hour-long format. But, as mentioned, the season is not without good episodes, and “In His Image” is one of those. Written by longtime Twilight Zone scribe Charles Beaumont from his own short story, “In His Image” succeeds because it does find a way to stretch a Twilight Zone story to an hour’s length. Where most episodes would end—our hero is a robot created in the image of his manufacturer—this one instead spins off of that twist and builds something else, which is to say that this is effectively two stories that fit together nicely and comment on two separate things. In particular, this story is asking what so many stories about androids ask: What does it mean to be human? There’s a kind of stark poetry and beauty to the episode’s answer, even if it’s also really, really creepy. Let’s start with the good, though: George Grizzard is another terrific actor who excels when placed in a seemingly unplayable role, making both of the characters he plays very different, yet also linked by certain traits and characteristics. His Alan Talbot wants so desperately to be alive that he escapes from the lab where he was born and heads out to the city, trying to build a regular, real life with a woman he meets named Jessica. But there’s something wrong in his wiring—which in Beaumont’s script almost seems like an existential crisis more than any authentic electrical malfunction—and he’ll occasionally snap violently and kill people. What’s great about how the episode is constructed is that we see Alan killing someone—an old woman who talks to him of salvation—while strange sounds whir all around him. This lets us know we’re in the Twilight Zone, and it buys the episode the time it needs to send Alan back to his “hometown” of Couerville, a section of the episode that benefits tremendously from the eeriness of the opening sequence, making all of the things Alan doesn’t remember about his hometown seem more and more like the delusions of a man who’s lost it. Around the episode’s midpoint, it introduces its second big idea: Alan’s a robot, yes, but he’s also a fitful recreation of a living, breathing man, one Walter Ryder, Jr., whose name flits through Alan’s synapses but never gets pinned down until he sees the old man’s grave in Couerville. (It turns out the little town was Walter, Jr.’s, hometown, but he hasn’t been back in 20 years, which is why all of Alan’s memories of it are so faded.) The sequence between Alan and Walter, Jr., is a little long, yes, and it sags a bit around the edges, but that’s true of almost all of this episode and most of the episodes this season. The sagginess, though, adds to the episode’s eeriness, rather than detracting from it as it does elsewhere in the season. It makes things feel ever more off-kilter, until the inevitable confrontation between Alan and Walter spills over into violence and the creator leaves his creation lifeless on the floor. Walter then assumes the life of his creation, freed from his prison of loneliness by the relationship Alan was able to build with Jessica, and it’s all just a little bit creepy if you think about things from the unknowing Jessica’s perspective, but there’s also a certain poetry to it. We all have our disappointments and regrets, our places where we wish we might have bettered our lives or been better people. In creating Alan, Walter literally separated all that was good and pure about himself into another being—only something in the robot’s circuitry caused him to become murderous, which seemed hardly optimal. Walter needn’t improve his own life; he can simply step into the one his duplicate created for him, a deeply understandable wish, yet one impossible but for the confines of this show. None of it would work without Grizzard. He absolutely sells the tenuousness of Alan’s memories, the certainty that things should be a certain way but just aren’t, the way that if you think about it too hard, you can realize that you can never really be sure of anything but this moment. And he makes Walter into a pitiable figure, something crucial for a show that’s known for dishing out punishments to those who have earned them. In some ways, Walter deserves to be punished, because he’s someone who would dare create life, dare create another human being, without realizing the consequences of what might happen in that being’s head. He’s meddling in God’s domain, and he can’t seem to put the genie back in the bottle. These are the sorts of figures the Zone often punishes. And yet Grizzard is so haunted and lonely when he plays Walter that it’s difficult to want to see him punished. There’s a part of me that suspects the original ending of this tale (I’ve never read the short story it’s based on) is one of horror, of a twisted man manipulating a trusting young woman just because he can. But in Grizzard’s hands, Walter’s final dishonesty becomes a stab at redemption, a hope that he, too, can change and evolve. It was an appropriate sentiment for the series to begin its fourth season with. A pity, then, that not every episode would live up to those lofty ambitions. What a twist! : Alan is an android, created in the image of one Walter Ryder, Jr. The two struggle, and when Alan shows up at Jessica’s room to begin their life together, it is not the robot but the creator, who has assumed his creation’s life. In terms of season four padding, this episode isn’t bad, and as mentioned, many of the scenes and dramatic beats that go on just a little too long add to the eeriness of everything that’s happening. But you can feel the padding in the segment where Alan is running around Couerville and finding everything that’s changed. It feels like there are maybe one or two too many beats in this sequence, and they all express about the same thing. The episode was directed by Perry Lafferty, who gives that late-night subway sequence, in particular, a terrifically spooky feel that lets us immediately know that we’re here in The Twilight Zone. Keeping this episode from true greatness, I think, is Jessica, who is sort of a boring character, performed by an actress who doesn't quite have what it takes to put that over the top. Though it’s one of the most famous things associated with the show, the opening sequence with the various icons—a door, a window, an eye (pictured above), etc.—floating at the screen doesn’t actually join the series until this episode. It was created by Hischman, at least according to Marc Scott Zicree’s Twilight Zone Companion, and it was spurred by the new narration Serling wrote for the opening. To be sure, the visual elements chosen are all incredibly obvious—matching “of sight” with a literal eye, in particular—but the whole thing is so surreal and strange that it’s incredibly powerful nonetheless. In weird coincidence news, Fair Exchange would be briefly revived as a half-hour sitcom. Here are the opening titles. Remember what I said about episodes feeling padded above? Well, here’s your first big example of that. I’ve only seen this season of The Twilight Zone once before. It rarely pops up in syndication, so I saw almost all of the episodes for the first time when I received the BluRay set a few years back. I burned through them in a couple of days, found them mostly unremarkable (but for a handful) and set the discs aside. The foremost sin the series commits throughout is pacing, particularly when one considers that an hour-long network drama in the early ‘60s had roughly eight minutes more of screentime to work with than an hour-long network drama today. At the time, I found many of these episodes easy to look away from, to do something else while watching. Now, having to pay attention, I struggled to focus in on “Thirty-Fathom Grave,” which isn’t execrable or anything but also is far from Serling’s best. (It’s his script, with direction by Lafferty.) “In His Image” works because it finds a way to turn the story on its ear about midway through. “The Thirty-Fathom Grave” has a good opening 10 minutes and a good closing 10 minutes, then roughly 30 minutes in the middle where the same basic dramatic beats are repeated over and over, because Serling isn’t sure how to get from point A to point B.
There’s the germ of a good idea here, and I actually find the opening scenes quite tense and evocative. A U.S. Navy destroyer picks up the sound of strange metallic clanking while patrolling over Guadalcanal, and no one’s quite sure what’s making the noises. Yeah, it’s probably just some natural phenomenon or a submersible or something like that, but what if it’s ghosts? That’s what the half-spooked crewmen whisper while the ship remains parked over the strange phenomenon, and there certainly seems to be a strange intelligence behind the rapping noises. Meanwhile, one of the boat’s personnel, Chief Bell (played by an admirably intense Mike Kellin), is slowly losing it, for reasons that are only gradually teased out through the rest of the hour. The problem is that that middle section is quite dire. If this were only 25 minutes long, then it would be fairly good. The opening 10 minutes and the closing 10 minutes could work essentially as is, and then we could have one of the diving scenes and the scene where the ghosts first beckon to Bell to act as the bridge material. The problem is that what we do have repeats information over and over or repeats basic dramatic actions over and over. The boat’s captain (a very good Simon Oakland) keeps sending the diver down to the sunken submarine, over and over and over, simply because the episode needs to pad things out. Bell sees the ghosts in the mirror, and it’s perfect and creepy, but the same ghosts lose their power when they pop up again. Serling was always a master of knowing just how much to tease out a supernatural story point, but he doesn’t have the hang of it here. Everything is underlined too many times, and it’s almost entirely because this is a half-hour of story inflated to an hour. I also suspect that taking the focus off Bell for long portions of time—particularly in the dramatically inert dive sequences that mostly seem to be there to show off that the show is doing dive sequences—reduces some of the power of what ultimately happens to him. 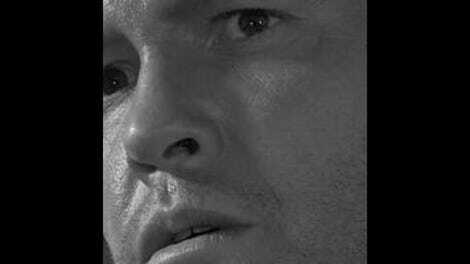 Those closing scenes where he yells about how the dead men at the ocean’s bottom are mustering him are still effective and spooky, and his dive into the ocean from which he will never return has the right sense of inevitability to it, the sort that The Twilight Zone can make work so very well. I could maybe do without the coda, in which it’s revealed that the sound of the knocking came from a sheared-off periscope—or did it? !—but the ending gets across the right sense of reality having gone slightly askew that the best Zone episodes have. At the same time, I felt disconnected from Bell a little too often throughout the narrative. When he finally has his big reveal—he had been a crewman on the sunken submarine, and his mistake caused the Japanese to bombard the vessel—it’s powerful, but it also feels like it’s occurring in the B-story, which is a weird place for the central emotional revelation of the episode to be placed. Bell is supposed to be the protagonist of this story, but a man who lies in a bed and wrestles with the weight of what he did isn’t the most interesting central character for a story like this. That means the story has to shift over to the mystery of what’s causing the knocking and the captain’s investigation of same, which further isolates us from the protagonist. Bell’s big scene works, because Kellin is a terrific actor, but it also feels like it’s occurring in another episode entirely from the bulk of the action. It’s a problem that the episode never really overcomes, fitfully involving though it is. As always, the acting is top-notch, and Serling’s script circles around something very interesting. In a way, this is an attempt at talking about the post-traumatic stress disorder of World War II veterans, forced to live with the guilt of having survived such a massive conflict that took the lives of so many of their brothers in arms. The scene where the doctor tells Bell that he shouldn’t blame himself for the deaths of men who were surrounded by Japanese ships anyway and shouldn’t blame himself for being thrown clear of the wreckage and surviving sounds like a real attempt to absolve the many men of the guilt they lived with daily, gnawing away in their guts. It’s a powerful scene, but it’s also impressive that Serling doesn’t go in for the warm ending after that. Bell still dives over the edge of the ship into the ocean’s depths, and he’s still sucked down by whatever darkness has been consuming his soul. Other versions of this story—other versions of this story on this show!—might have concluded with the basically sympathetic Bell learning the doctor’s lesson. But “Thirty-Fathom Grave” doesn’t go in for the easy answers or the pat ending. It goes in for the protagonist—well, ostensibly so—committing suicide because he can’t overcome his guilt. Talking about it like that, I’ve convinced myself to like this episode a little more than I probably actually do. In theory, there are a ton of good ideas in “Thirty-Fathom Grave,” but in practice, they’re undone by that loose, sloppy midsection. There are worse episodes in this season, and there are more padded episodes to come. But “The Thirty-Fathom Grave” stands as an early example of an episode type that would come to dominate the fourth season: the half-hour tale that’s stretched out to an hour because that’s how much time the show needed to fill. And all the good ideas in the world can’t save a fundamental issue like that. What a twist! : Bell was stationed aboard that sunken submarine, and the ghosts of its crew are calling him to join them. Or maybe not! Since it was just a sheared-off periscope rattling around. Or maybe not! Since one of the dead crewmen had a hammer in his hand! Bill Bixby is apparently in this somewhere, but I have to be honest and tell you that I didn’t spot him. Then again, I was not a big Incredible Hulk fan as a kid, which is sacrilege, I know. I’ll say this for this episode: It’s very technically impressive. The underwater sequences and the ghost crew are both quite convincing. This episode just puts me in mind of the greatest Wikipedia page ever, a list of unexplained sounds, most of which have been explained now. Happy Saturday, everybody!